These bath taps are made from solid brass and are fitted with ceramic disc valves. The cross handle is a close reproduction of a tap made during the victorian era. All bath fittings have 3/4" ceramic valves and large waterways making it ideally suited to british low pressures as well as modern high pressure systems. 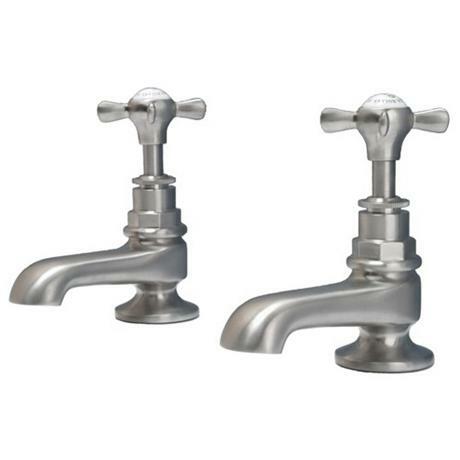 Each handle features the white ceramic chip with the "HOLLYS OF BATH" logo. Handcrafted from solid brass, this tap faithfully recreates the unique Victorian styling of over 100 years ago. The engineering is reassuringly solid and the look traditionally elegant.